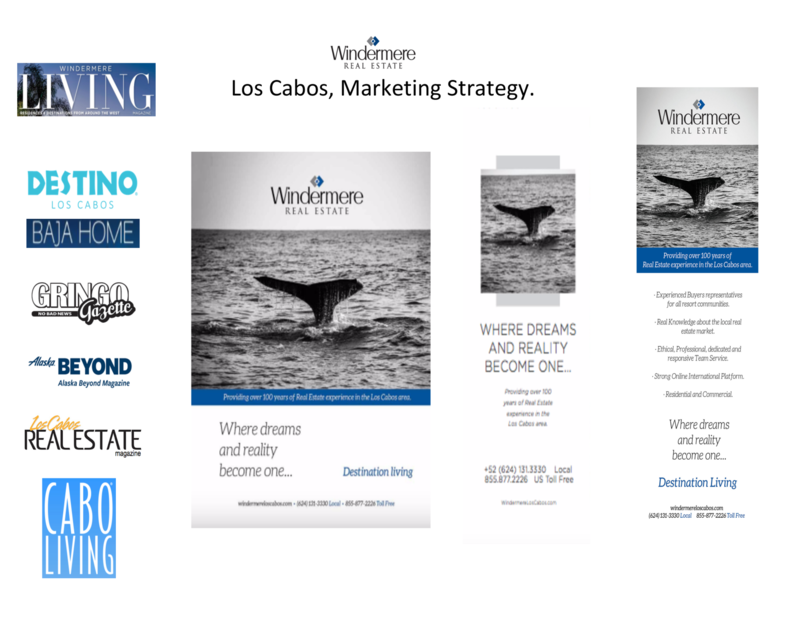 When you sell your luxury home with Windermere Los Cabos, you’ll have the confidence of knowing it will receive the highest level of exposure through our global connections and powerful marketing tools. Our Marketing efforts focuses on accomplishing our mutual objectives: professionally marketing your property to qualified buyers and selling it at the best possible price. 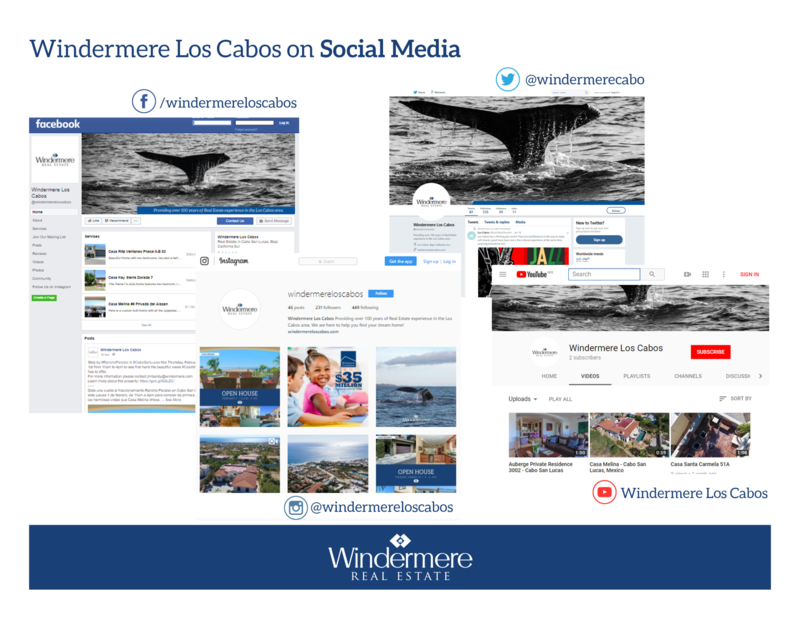 Windermere Los Cabos social media channels are a great resource for information about the housing market, buying and selling homes, home improvement, and the communities we serve. IT’S ABOUT RELATIONSHIPS. In 1972, John Jacobi set out to change the real estate industry by putting relationships before sales quotas, with an emphasis on service to our clients and our community. Over 45 years later, this mission has helped grow Windermere into one of the largest independent real estate companies in the nation, with more than 300 offices and 6,000 agents throughout the Western U.S. and Mexico. What makes Windermere the first choice for high-end buyers? We will feature the video across our Social Network, our YouTube channel, to our exclusive email Marketing Client List and through our Agent Referral Program of offices! Windermere’s Premier Properties program specializes in marketing high-end properties to the most qualified buyers. To do so, Windermere offers a number of advertising opportunities that enable us to maximize the marketing of your home. Through our membership in the Luxury Portfolio International network, we also have access to industry-leading advertising programs and multimedia partnerships that target both domestic and international buyers. Our Luxury Portfolio is the luxury face of Leading Real Estate Companies of the World, the largest invitation-only global network of locally branded independent brokerages, including Windermere Real Estate. Windermere Los Cabos is proud to be part of Luxury Portfolio International, which provides access to powerful tools to help market your home. We understand the demands on affluent consumers who often require changing locations more frequently and the purchasing of homes in multiple destinations. Windermere is uniquely qualified to meet these needs due to our membership in Leading Real Estate Companies of the World, which connects us to more than 565 top local brokerages in over 60 countries. Windermere's exclusive quarterly magazine, Windermere Living, features homes for sale throughout the Western U.S and Mexico. Because each of its members is held to a high standard of performance and measured each year, this powerful network participates in more transactions than any other national or global real estate organization. Many of its members also specialize in luxury endeavors, and we share a special relationship with them through Luxury Portfolio International, which represents only the finest properties with a highly customized marketing program. Keep up on the latest housing and décor trends, follow market news, and hear from our experts about the economy and what you need to know about buying and selling your home. Follow the conversation on Twitter for up-to-date market news, community happenings, industry information, and live coverage of industry events. Get a daily dose of eye candy with our #MillionDollarListing, learn more about how #WindermereLosCabos makes an impact in our communities, and get some serious design inspiration on our Instagram page.